“Jesus took Peter, James, and his brother John, and led them up a high mountain apart by themselves” (Mark 9:2). This is the first sentence of the Transfiguration account in Mark’s Gospel. In the Transfiguration, Jesus takes his friends up a mountain and reveals his divinity to them. A voice from the heavens declares that Jesus is his beloved son. Jesus’ clothes become dazzling white and Moses and Elijah appear alongside him. Peter does not know what to do, and asks to build tents to remain on the mountain. But the moment passes, Jesus returns to his human form, and the disciples head back down the mountain with Jesus, cautioned not to tell anyone until the Resurrection. For those of us who do not live on mountains, or who can climb a mountain pretty easily with four wheel drive, the detail about being led high up a mountain might feel meaningless, especially given what happens next. For Jesus, Peter, James, and John and many people around the world, however, navigating mountains is part of life. The photos and captions below help us glimpse some of the realities of mountain living. Take a moment to look at the photos and reflect on the stories of communities who live near these mountains. Then, return to the Transfiguration story. Imagine growing food on a mountain. 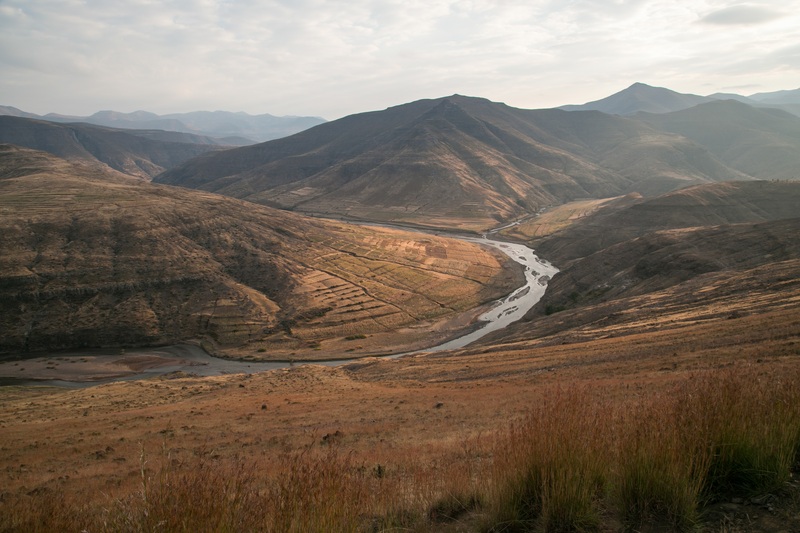 Lesotho is a mountainous nation with one of the highest elevations in the world. Less than ten percent of the land is good for planting food and the country does not produce enough to feed its own people. It is easier to raise livestock than farm, but animals often overgraze the available farmable land. This photo shows a typical view of overgrazed mountains in Lesotho – you can see the galleys that have formed in the mountainsides. CRS is teaching herders in Lesotho ways to grow fodder for their animals to help prevent overgrazing, which helps ensure there is more fertile land for growing food. Imagine going to school on the side of a mountain. These classrooms are nestled into a mountain in Afghanistan. Without them, children in this community wouldn’t go to school. The nearest school is four miles away. 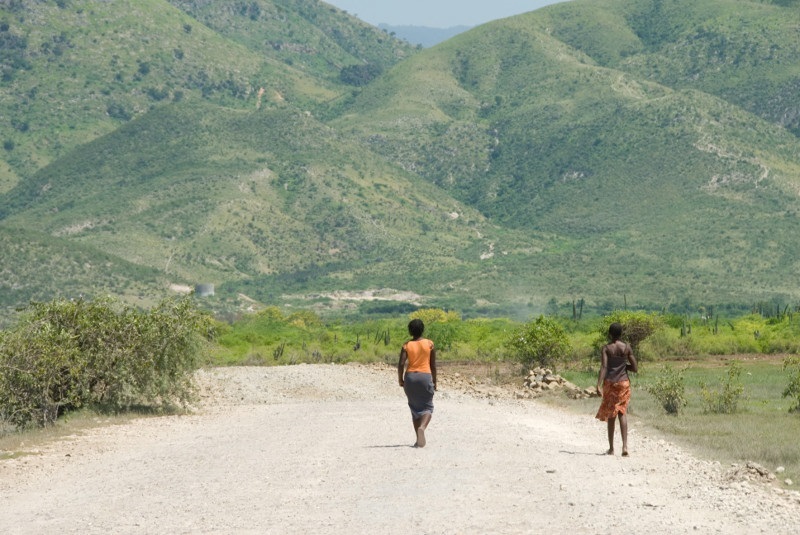 That might not seem very far, but traveling is more difficult for those who live in poor, mountainous areas. CRS set up this school through a Community Based Education Enhancement Program. Imagine carrying household items up a mountain. In Myanmar, women are responsible for work around the home, as well as most of the work on farms and in gardens. 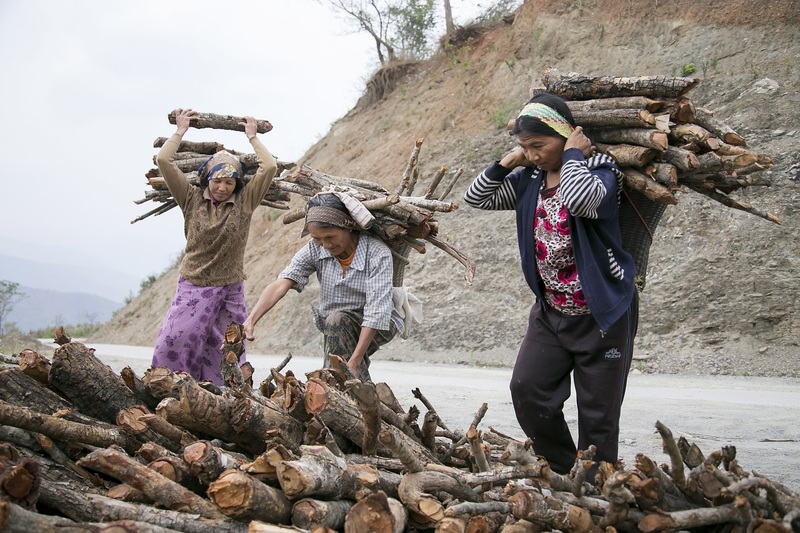 The women shown here carried this firewood up the mountain. 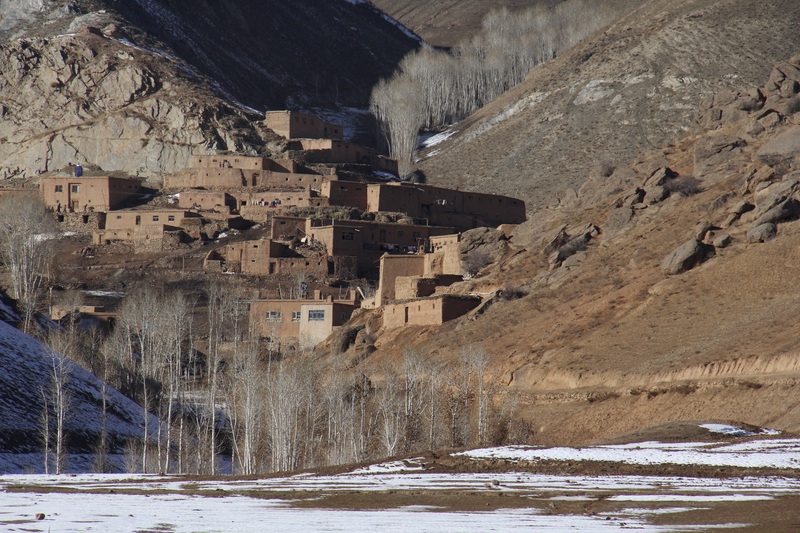 They live in villages tucked into steep mountains where frequent landslides cut off roads and the soil is poor. Some families who live here have no choice but to encourage spouses, children and siblings to migrate for international work. CRS helps people in these rural communities improve their agricultural production and nutrition. Imagine having to make sure you have enough water on a mountain. 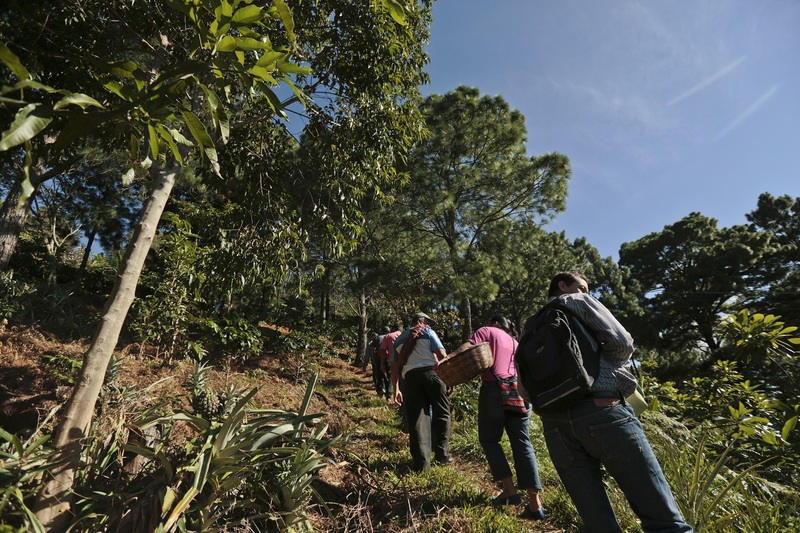 Here, a group of coffee producers walk through a coffee estate in El Salvador. These producers are part of a CRS project to strengthen sustainable management of water resources on coffee lands in El Salvador, Honduras, and Nicaragua. They creatively use cover crops to capture rainwater that runs down the mountain during the wet season so it cycles the water back into the soil for the coffee plants. Why would Jesus lead you up a mountain? What challenges might you face getting there? How would have you reacted if your friend, Jesus– the man you spent so much time with– suddenly became divine? What might it have felt like when you were told you had to come back down?